This gentle yet structured workshop is safe, supportive and fun. 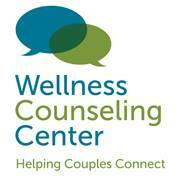 We help eliminate the kind of confusion that can lead any couple into feelings of frustration and isolation. It’s important to know that Dr. Sue Johnson is the primary developer of Emotionally Focused Therapy (EFT) which has proven to be the most effective method available to couples — especially those wanting closeness and connection. More than 25 years of peer-review and clinical research have demonstrated it’s remarkable success. It’s also the only method we use at Wellness where our team works with couples every day. The focus of EFT, and our Hold Me Tight® Workshop, is to help you and your partner understand each other’s deepest emotions and concerns; to help you get on the same page. For most people, feelings can be hidden, unexpressed or misunderstood. That’s when relationships become stressful or cause pain and stop being a source of comfort and happiness. At our Hold Me Tight® Workshops, we guide you through conversations where you and your partner can learn to discuss emotions safely and move toward each other rather than turning away and having to go it alone. Learning how to be a little bit closer, loving and responsive can change everything. It turns your relationship into an emotionally safe place where you can relax and enjoy each other again. You want to improve your relationship and learn to communicate in new ways. You want a relationship filled with more understanding, warmth, closeness and connection. Feel more accepted by your partner. Have more conversation and less conflict. Feel like your partner is more engaged with you. Identify those pivotal moves and moments that define your relationship. Learn to be more sensitive to your (and your partner’s) emotional needs and responses. Start to describe and control the negative interactions that hurt and create distance between you. Get Registered For This Event at The Link Below or Call us at 704-319-5593 and We’ll Register You Over The Phone.